Dr. Tammy Finder graduated from the University of Michigan Dental School and has been practicing dentistry since the year 2000. She works with her husband, Dr. Howard Listopad, whom she met in her dental school class. Both Dr. Finder and Dr. Listopad attended a residency program after completing dental school. In their respective residencies, they learned advanced techniques in more specialized dental procedures. Finder and Listopad stay up to date with the ongoing changes and updates in their profession by attending various trade conferences and educational seminars with their peers. Dr. 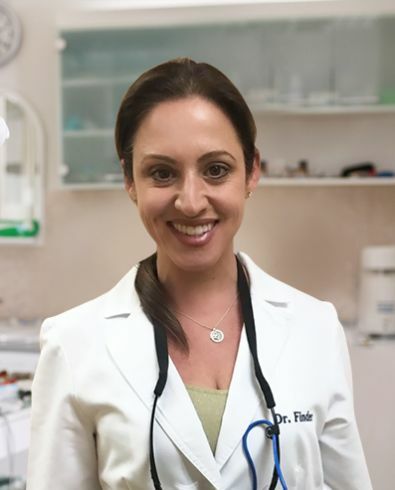 Finder and Dr. Listopad, along with the rest of their professional team, strive to make everyone of their patients’ dental experiences as pleasant and easy as possible. They accept PPO insurances and they work very hard to maximize the insurance benefits for their patients. All aspects of general dentistry are performed at their office from Lumineers and Invisalign to implants and sleep apnea appliances.